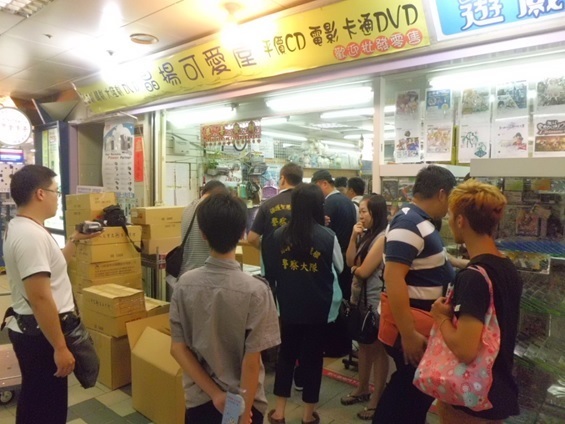 As more and more people overseas take an interest in Japanese TV programs and such, we started to see a growing number of shops that specialize in selling pirated copies of TV programs in recent years, particularly in East Asia. The existence of such shops is a major obstacle to legitimate distribution. As such, we have been putting effort into voluntary investigation on the type of infringing hard-goods shops and submission of leads to regulatory bodies since 2011. 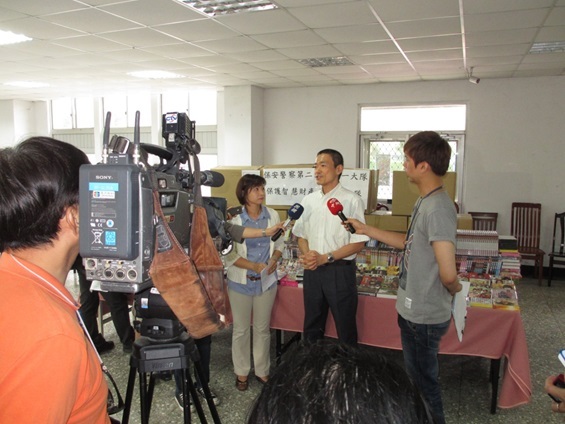 In Taiwan, where infringement was especially a serious issue, CODA cooperated with the Taiwan International Screen Foundation (TISF) between November of 2011 and February of 2014 to request the Intellectual Property Right Protecting Corps of Special Police (IPR Police) to take criminal actions against 10 infringing shops in total, and those resulted in confiscation of about 30,000 pirated DVDs. Thanks to these effective enforcement efforts, shops that openly sell pirated hard-goods have almost all disappeared in Taiwan. In the case of China, we requested the Shanghai Municipal Administrative Enforcement Authority on Cultural Market to take enforcement actions against 8 infringing shops that we identified through our investigation in Changning District of Shanghai. Between November of 2011 and July of 2014, a total of 18 raids were conducted, and approximately 38,000 pirated DVDs were confiscated. These shops have been subjected to administrative sanction, and 5 among them went out of business. Pirated hard-goods shops have vanished from public view all together after the enforcement actions, but abusive use of online outlets like auction sites is on the rise in the meantime. As sellers of pirated media become more covert and crafty, we need to continue monitoring and enforcing copyright law against hard-goods pirates.